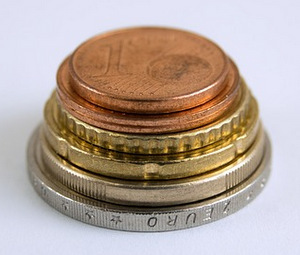 Keep your loose change in your pocket so you don’t lose it. The words loose and lose are mixed up in writing; for some reason, many people write loose when they really mean lose. But there’s no reason to lose your mind worrying about this, just lose the extra o! 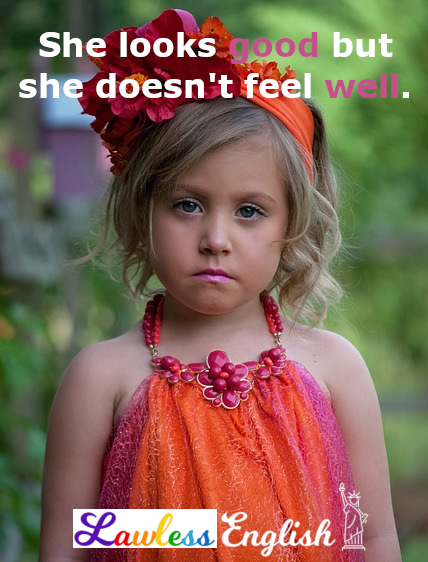 Loose is an adjective, the opposite of "tight" or "contained." I found some loose change under the couch. I have a loose tooth. There’s a dog running loose in the street. Lose is a verb that means "to suffer the loss of, to miss." You’re going to lose that if you’re not careful. We need to lose some weight. I hope I don’t lose this tooth. Simple carelessness leads people to write loose when they mean lose. Just remember that lose has one o, and loose has two. Start with loose, lose an o, and what do you get? Lose! Thank you for clearing this up. Your examples are great. 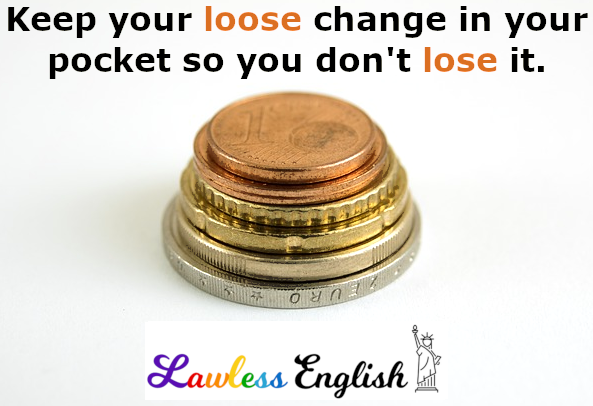 Loose is also used as an adverb in: To play fast and loose. I liked the “lose an o” way of remembering, but the connection between “lost” and “lose” works well for me also. I think the confusion comes from being taught from a young age to “sound out” letters to form words, but that doesn’t always work in the English Language. To me the word “lose” has a longer “O” sound than “loose” which is said in a very short and snappy way. So I can totally understand the confusion between the two. Also the “magic e” which generally makes vowels sound longer, isn’t working in the same way here with “Lose” is it does in the word “Hope” for example. The two results sound completely different. English is a language that makes it’s own rules, breaks them, and then laughs in your face for the rest of your life. Thank you very much for the distinctive explanation..I have been using that word in an incorrect way.